There are two options to choose from when installing a lawn. 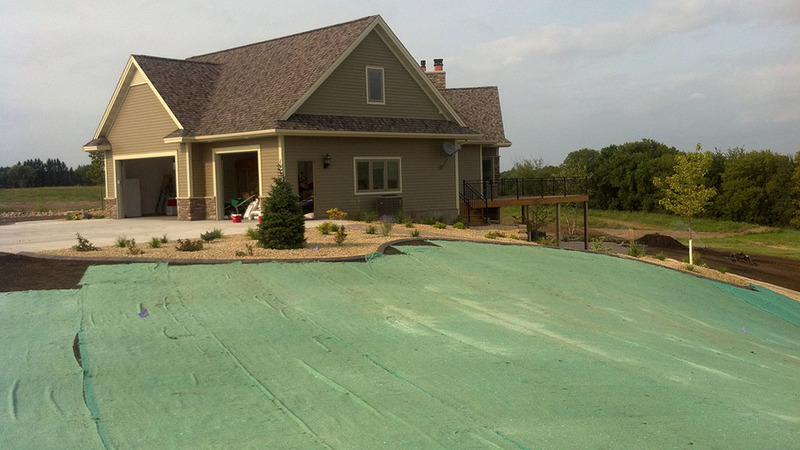 Sodding - Sod lawns are a large part of the grass lawn industry. The selection of creating a lawn from sod is that you almost instantly have a growing green area where nothing was the day before. Sod lawns are planted by seed or other vegetative methods at commercial farms and grown generally for one to three years to create your new instant lawn. Seeding - Using seed is the most common method of planting turf grass and usually takes 3-4 weeks to establish. Our lawn care division provides turf management services to both residential and commercial properties, ranging from businesses to town homes and apartment complexes.